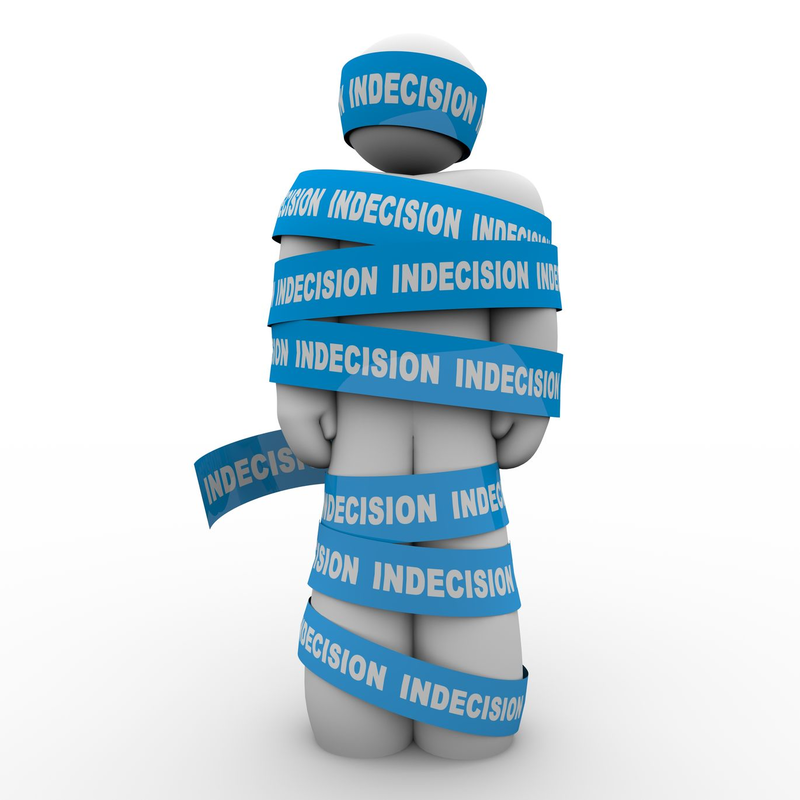 What are the consequences of indecision? When it comes to making difficult financial decisions that may involve taking a step backward in order to make many steps forward, lots of families find themselves in a state of limbo. Often we feel as if our finances raise more questions than we are able to answer ourselves. “Do I really want to give up X‐Y‐Z in order to make additional mortgage or super contribution?” “If I leverage the equity in my own home, what happens if my investment vehicle heads south?” “Is now the right time to refinance or should I hold out for a better deal?” “Is the money I put forward for my advice truly worth the end results I am achieving?” If you match this with a literal bucket load of products offered by larger and smaller financial institutions, you wouldn’t be blamed for feeling like you would have to take annual leave simply to be as thorough as you’d like to be. These compounding elements, life’s demands and coupled with an abundance of information inflict a state of paralysis on many people where the ultimate decision they make is to make no decision at all. It would be fair to say that we never stop seeking a better pathway to achieve our goals and once we’ve reached them, we change our goal posts in hope of achieving more. This takes careful consideration and an understanding that the decisions you make will have a ripple effect on both your personal and financial future. While the paths forward may differ, each of us strives toward a debt free retirement that allows us the freedom to do the things we haven’t done and the financial structure to provide what we didn’t have to the family we have built around us. To create a retirement worth your forty‐five to fifty years of hard work and sacrifice, a common falling point for many people is the ability to identify, understand and follow up with decisive action. To ensure that you’re taking the right path toward your goals, it will always pay to speak with as many sources of information as possible (without breaking the bank!) to know what your options are in regard to your debt and wealth position and ability to move forward. Once you have put together a structure that compliments your ambitions, the risk versus reward is fair and you firmly understand the changes you will be making, the hardest step of all is to actually implement them and take action. Far too many people fall victim to the demon of procrastination and as a result end up paying far too much to own their home and missing out on key opportunities to secure their retirement position. If you feel that your financial future has plateaued recently it may be time to investigate what opportunities have opened up to you and making sure that the course you’ve plotted forward has the smoothest and most lucrative seas.